The custom framing was worth the price to remind me I need to continue this writing journey. The writer’s life is a rollercoaster of emotions. We are on a high when our book gets published. A low when our sales are down, or we get a one-star review. We worry our next book won’t be as good as our last. We fear rejects and being a one hit wonder. Anxiety overwhelms us with marketing and putting ourselves out there. We all need to wrap ourselves in positive reminders. 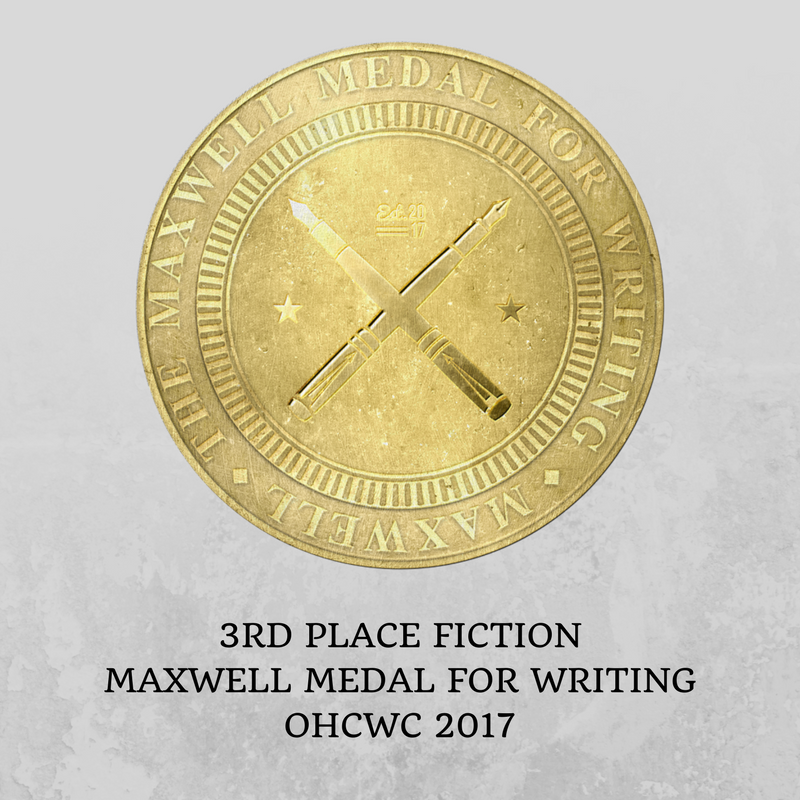 For me, it was custom framing my Serious Writer 1st place for Fiction Award. It’s not the Selah, Carol or Christy but I’m still pleased with it and it’s reminder, I am a writer. I’ll look at it and be encouraged. I’ve framed other award certificates as reminders. But I need to hang them on the wall. Yes, I’ll admit it, they aren’t hanging in my office. (Sliding them in a drawer or a folder because they aren’t 1st place or have no trophy or medal connect with them is pointless.) All of these awards need a place of visual prominence. As a group they’ll inspire me to go for the gold in the future. I love seeing 5-star reviews. I don’t read the 1-star reviews because they only instill doubt. Atta girls and compliments on my social media from fans and fellow-writers are so appreciated. Often I see them when my heart is in a dark place and words aren’t coming. When people respond in the comment section on my blog, it’s encouraging. I need to know the time it takes to write these posts has value to my readers. I believe most writers feel the same. If they say they don’t need accolades and don’t care what other think about their writing then they must do it for a hobby or they are lying. It’s human nature to want praise. Praise is not a daily thing. Neither are 5-star reviews or awards. But having proof of my accomplishments in a place to view when my heart feels heavy over some aspect of my writing career helps. I’m reminded I can do this. For me the reminder causes me to take another step to bring me out of a negative place. I thank God for the gift of words he’s given me. I pray for his peace and confidence and seek his direction for my next project. And I thank him for the lovely encouragement he bestowed on me through these awards. What visual aid keeps you focused on your goal to complete your next writing project? I recently read a post on FB where writers were debating whether men put their hands on their hips. Some were adamant that they don’t, and others like myself knew they do based on my own male relatives and contacts. That conversation lead me to think about hands in general. How we describe them in our writing and when they become the center focus of a scene. From a clean romance writer perspective, hands are often part of the romantic tension. How many ways can a couple hold hands? Hands cupped together is less intimate than fingers entwined. His thumb rubbing over her fingers, or her fingers feather light over the top of his hand are also intimate gestures. His fingers tracing a pattern in her palm or her fingers roaming between his fingers as they sit and chat. Clasped fingers are another romantic gesture. A hand on the small of the back to guide a woman was considered good manners for centuries in America. But how much pressure is applied or the length it remains there can speak volumes. Is it a rough push or a gentle open palmed caress? The palm lingering long enough for the lady to notice can be either perceived as lecherous or loving. In days gone by a man didn’t touch a woman’s ungloved hand. Women danced with gloves on. Even the kissing of the hand was usually an air kiss or on the gloved hand. Bare skin touching was sensual. The amount of pressure on the hand can speak love, jealousy, anger or fear. All of the John Wayne/ Maureen O’Hara movies have the same an iconic scene repeated in each. Near the end of the movie John grabs Maureen’s hand and drags her home. They make up and love blooms full. Pretty sure in a modern story it wouldn’t be too believable. A finger can stroke a wrist in a sensual fashion or put enough pressure on it to bruise. A man whose wrestling with anger might fist his hands at his sides or dig his nails into his palms. She can slap his face, scratch him or dig her nails into his palm while he holds her against her will. He can apply a lot of pressure in a handshake to relay a message to his rival. Either: she’s mine, I’m the better man or even watch your back. Moving a tendril of hair either their own or their love interests can attract attention or stir desire. The position of a weapon in the hands of a character can tell the reader if they are frightened, determined or inexperienced. An apparent calm character can reveal his fear with shaking hands. Hands on hips (female or male) usually relay aggravation or determination. Hands grasping the arms as they’re crossed across the body can indicate both anger and fear. Fingers trace objects to learn things like texture, density and temperature. Those same fingers tracing skin can be looking for wounds, affection or a creepy outcome. Hands are essential in description. Sometimes hands are implied. He raised the rifle. We know he didn’t use his toes. He reached for her. Unless he is an amputee we know he used his hands and arms to reach. Hands and fingers can help layer the tension romantically, help solve a mystery or aid in murder. Can you add to my list? Don’t forget to subscribe if you’d like to receive this blog in your email. I had a dream that my writing time was uninterrupted. No family drama or emergency took me away from my words. I stayed on task. All the items on my checklist from blogs, to edits to marketing were completed. Then the alarm went off and I woke to reality. And I’m not alone in the real world of writing during crisis. Several writer friends requested prayer or shared their own struggles with meeting deadlines while family tragedies formed around them. Some are dealing with aging parents and Alzheimer, illness, or tough things with their adult children. Others, it’s teens in rebellion, little ones with special needs, spouses in the hospital and the list goes on. We don’t get to quit our day jobs to deal with most of this stuff, and our writing is just as important. But we can adjust. One author writes only hundreds of words daily rather than thousands as she waits by the bedside of her ailing mother. Jesus reminds us that in this world we will have trials. And as a Christian the second half of the verse rings true for me. He says, “I have overcome the world”. Praying and seeking His peace and clarity is so crucial during family drama. No, this is not the time to write about the trial. You’re too close and your emotions too raw. Keep a journal or open a file on your computer and dump all your emotions there. Someday in the distant future all that angst will be fodder for a novel, article, or how-to-endure-family-drama book. For now, you just put one foot in front of the other. Decide what things you need to let go while you deal with the emotional, physical or legal things associated with your trial. I hired a lawyer to deal with all the paperwork for my aging parents. After my father passed, my mother is happy in her assisted living facility. My son’s family lives with us at present and there are times we are responsible for the granddaughters. Drama at work can drain my energy reducing the number of writerly things I get done at the end of the day. Individually, these are only mild hiccups, but when they all come at you like a flood it can send your writing schedule out to sea. And you find yourself struggling to catch a breath and regroup. Once I established a way to deal with the small stuff the large chaotic surprises have a basic pattern to follow. A few hundred words a day is better than none. Have someone double check your work before submitting because your focus may be skewed now. Ask for extensions but keep writing as if you don’t have one. Reach out to family and friends for help. Don’t be a super hero. Not only will your writing suffer, but also those you care about most. Anyone care to add to this list? I’d love to hear how you cope with big and small potholes along your writing journey. Don’t forget to subscribe to receive new posts in your email.